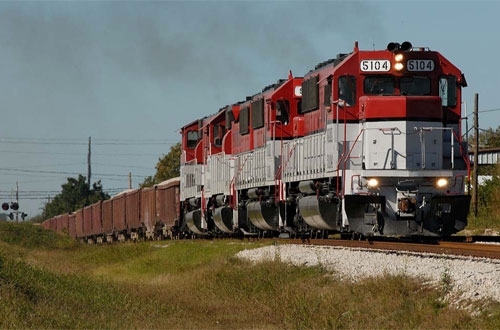 BNSF has named Austin Western Railroad (AWRR) as its 2015 Shortline Railroad of the Year during its annual Shortline Conference in Fort Worth, Texas. AWRR, which is operated by Watco Companies, edged out 200 other shortline railroads in North America that interchange commodities with BNSF. 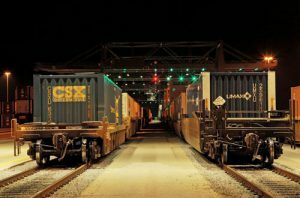 For the first seven months of 2015, the freight interchanged between AWRR and BNSF increased by 28 percent compared to the same period in 2014. AWRR’s compound annual growth rate was 35 percent from 2007 through the end of 2014 for freight interchanged between the two railroads. 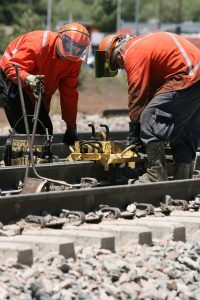 “In recent years, we’ve seen a significant increase in aggregate unit trains due to increased highway construction in Texas and the AWRR moved almost all of the aggregate needed to build the Formula One race track in Austin,” said Ryan Williams, vice president marketing and sales, Watco Companies. 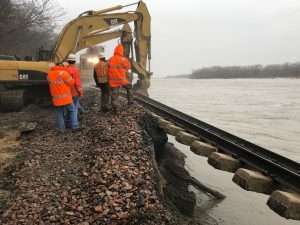 BNSF gained the right to interchange with AWRR as a result of the settlement agreement for the Union Pacific and Southern Pacific railroad merger in 1995. While the tracks AWRR operates were once owned by Southern Pacific, the rail is now owned by the Capital Metropolitan Transportation Authority (Capital Metro) in Austin. AWRR signed a new contract in 2015 to continue freight operations on the tracks through 2035. Capital Metro operates commuter service on the tracks during weekdays and AWRR operates freight trains in evenings and weekends on the central-Texas tracks. AWRR operates on 111 miles of track owned by Capital Metro from Marble Falls to Elgin, Texas. AWRR interchanges freight with BNSF at McNeil, Texas. The shortline moves approximately 49,000 carloads annually, shipping commodities such as aggregates, crushed limestone, calcium bicarbonate, lumber, beer, chemicals, plastics and paper. 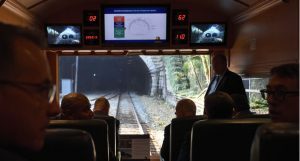 AWRR received the American Short Line & Regional Railroad Association Jake with Distinction Award six times since 2008 and finished all six years without any reportable injuries.